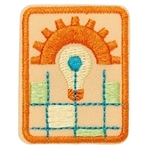 Girl Scout Senior Journey Award Visionary Patch. Iron-on Patch. embroidered Visionary patch with topaz rhinestone. Earned Award. 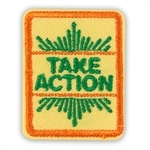 Girl Scout Senior Award Patch. Iron-on Patch. with embroidered blades of wheat and "GS" "Harvest" on bottom of patch. 1 12". Imported. Iron-on patch embroidered with "Sisterhood" in swirl pattern. Imported. 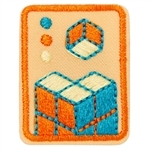 Iron-on Patch. 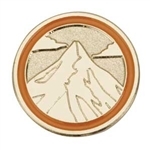 Girl Scout Senior Journey Award Visionary Pin. This medallion pin has a filigree design and topaz color faceted glass stone with the words "Visionary" and "GS". Earned Award.